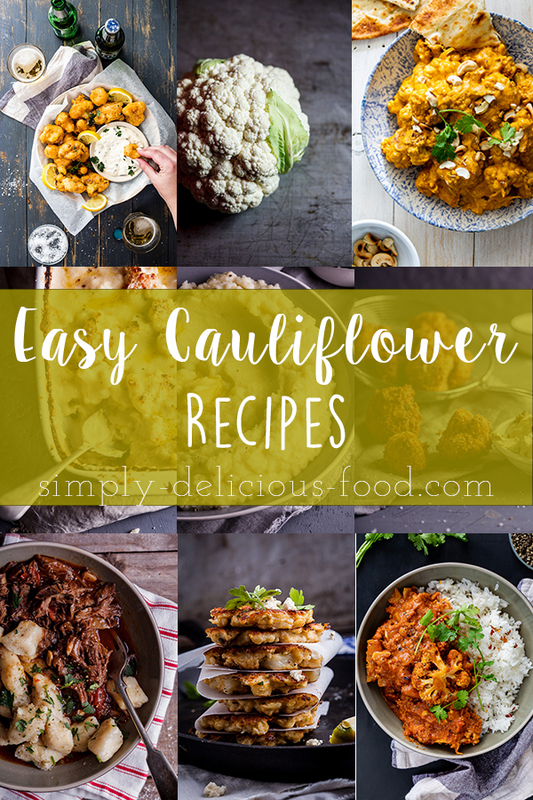 A collection of delicious, easy cauliflower recipes. 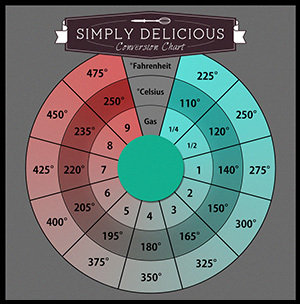 Aromatic cauliflower curry, cheesy fritters, risotto and soup recipes for tasty family meals. Cauliflower is our favorite vegetable as a family. We love it in every way, shape and form and luckily it is honestly one of the most versatile vegetables around. 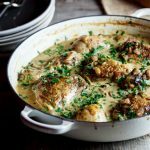 It works perfectly as a rice or mashed potatoes substitute, is hearty enough to replace meat or chicken in a curry and can be used for every meal of the day. 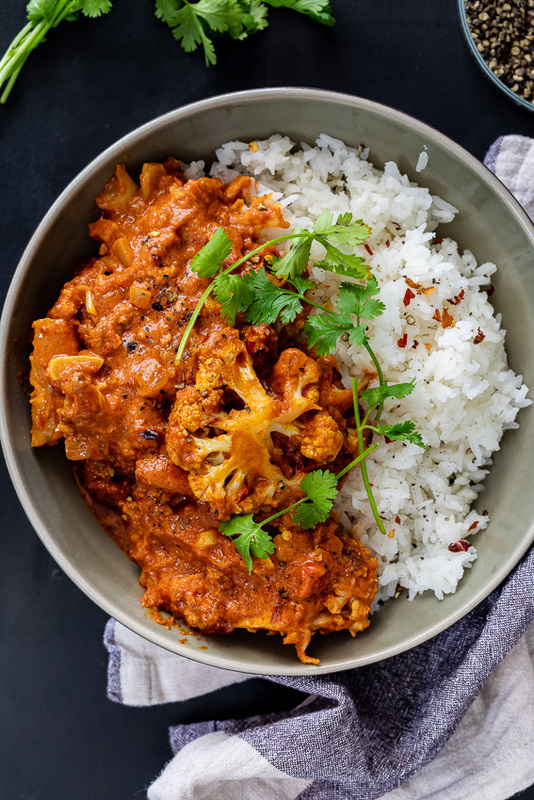 Cauliflower tikka masala is delicious vegetarian comfort food and perfect for feeding a crowd. 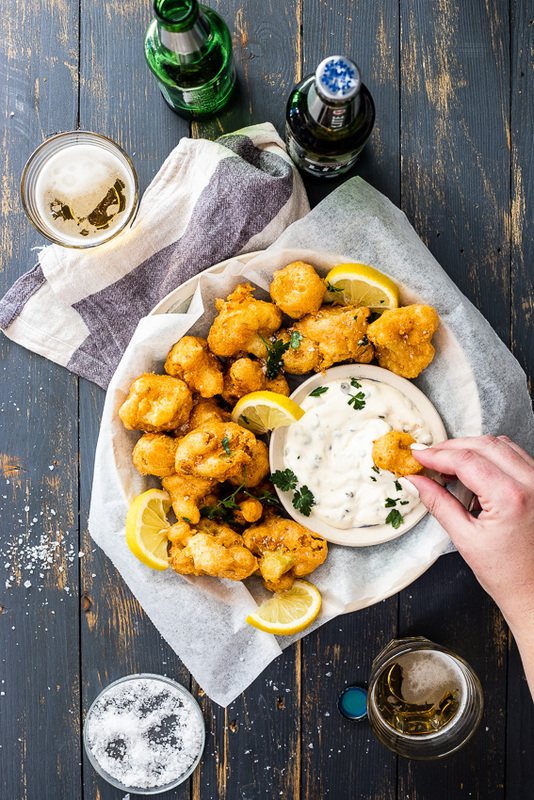 Crispy beer battered cauliflower dipped into caper mayonnaise is the perfect game day snack. 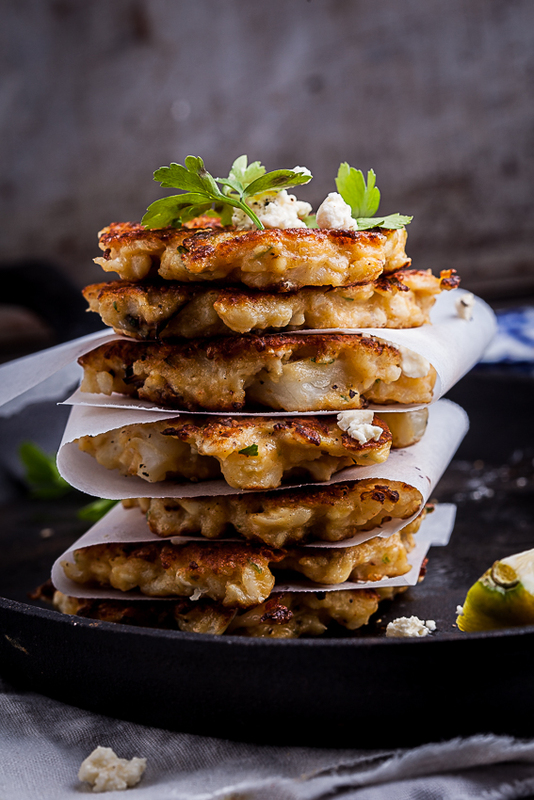 These cauliflower and feta fritters are perfect as an easy snack, light lunch or appetizer. 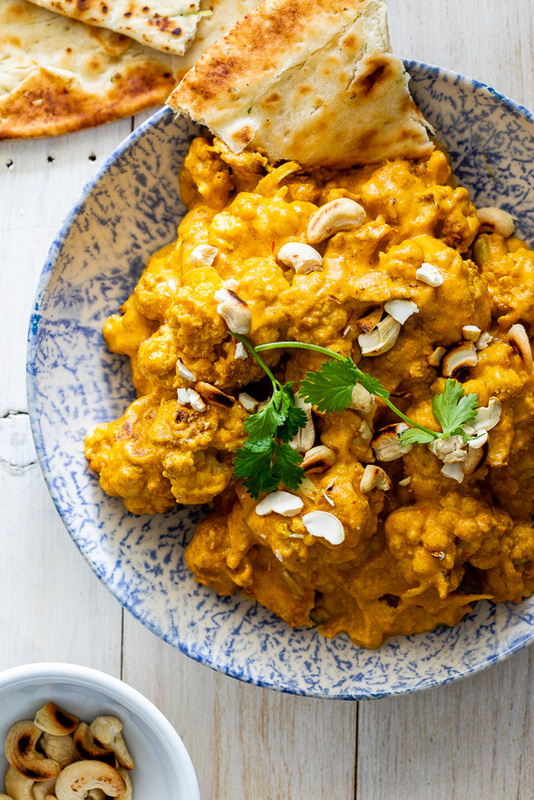 Cauliflower korma curry is a delicious vegetarian meal served with naan bread. 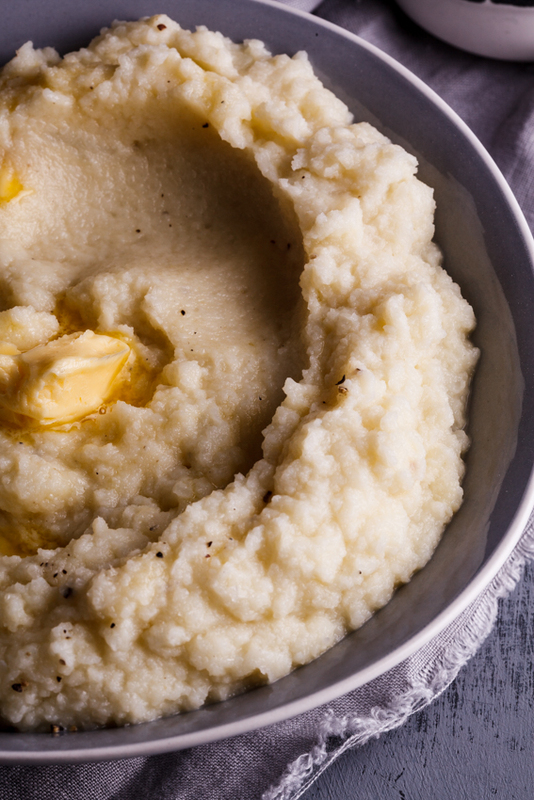 Smooth, buttery cauliflower mash is just the perfect comforting side dish. 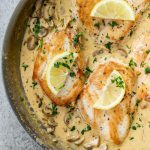 You can’t go wrong with this gluten free and low carb dish. Cauliflower cheese is a Sunday lunch classic but can also easily be a fantastic vegetarian centerpiece for weeknight dinners or family feasts. 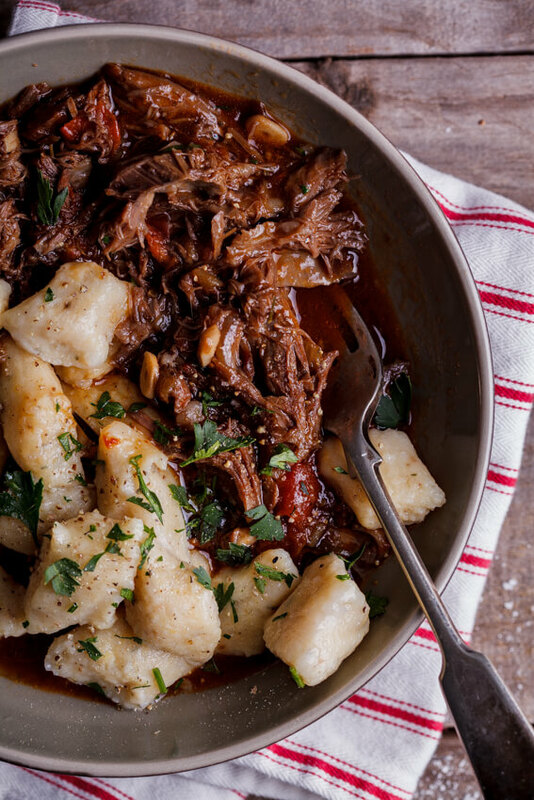 Prep ahead and bake before serving for a dish that is guaranteed to impress. 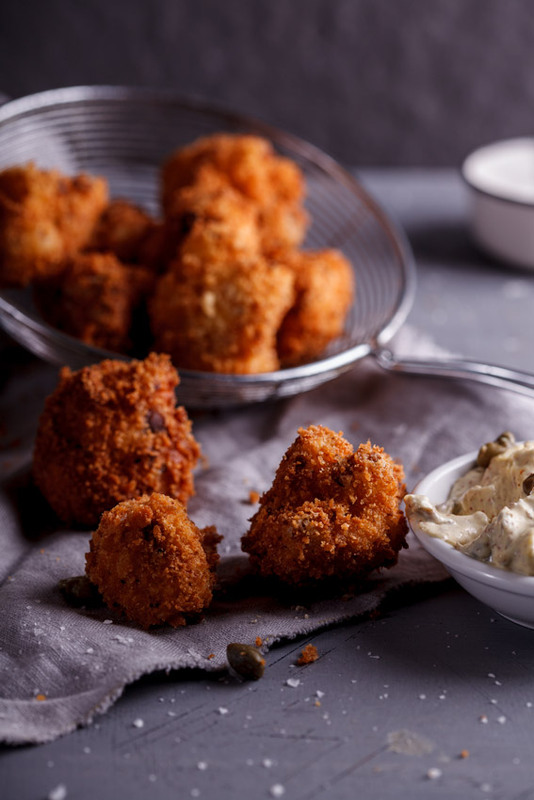 Delicious, golden little nuggets of crumbed cauliflower goodness served with a zesty tartare sauce makes for the ultimate vegetarian snack or appetizer. 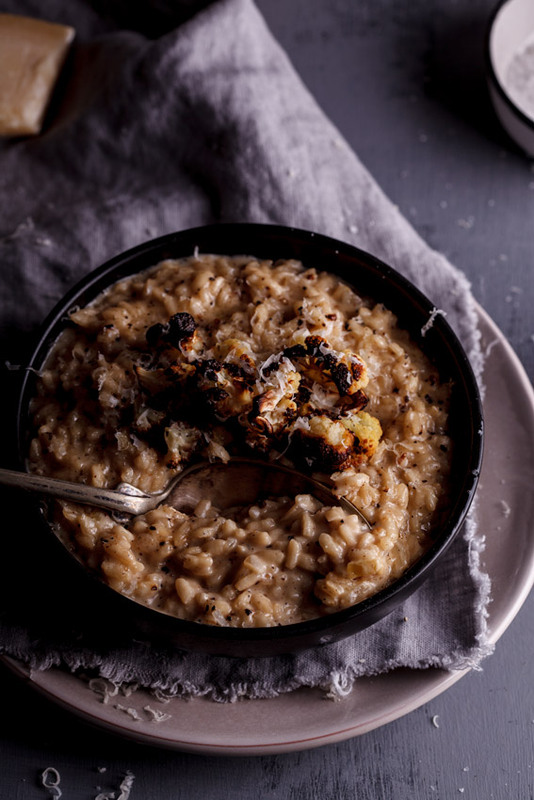 This roasted cauliflower risotto with truffle oil is simple, luxurious comfort in a bowl. 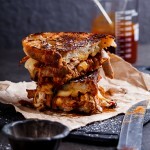 The best of all is that I can take dinner leftovers to work next day ! 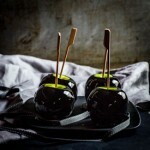 Perfect and thank you ! 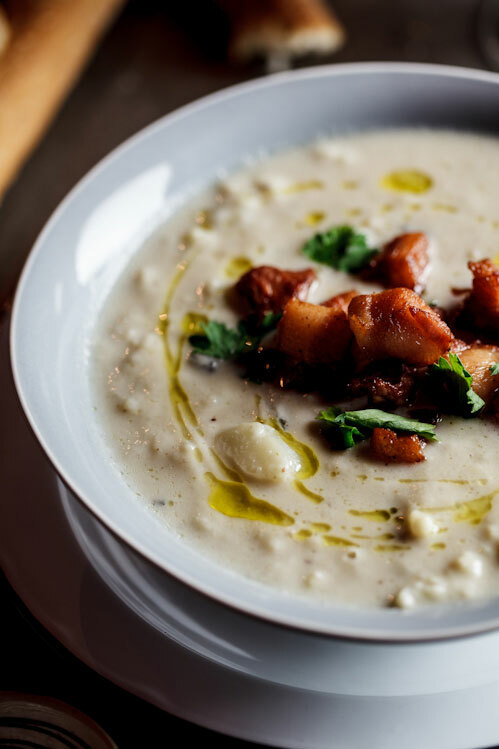 Such fabulous cauliflower recipes Alida! 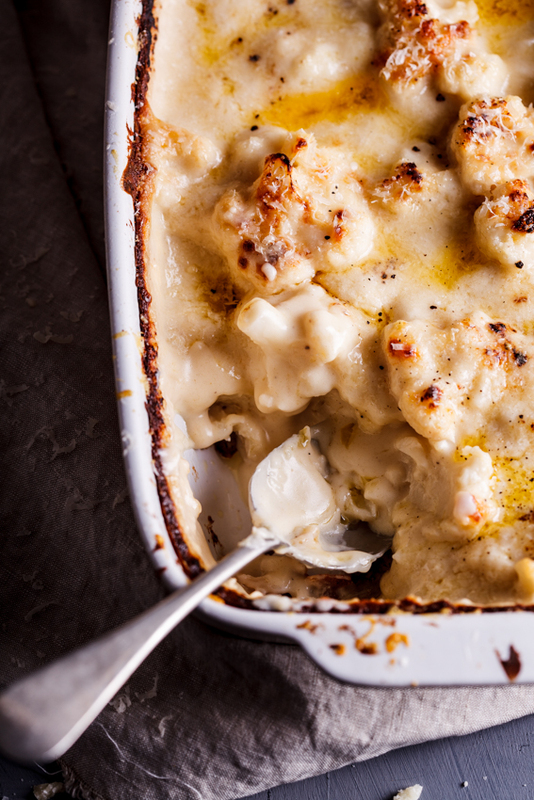 That cauliflower cheese bake is amazing! 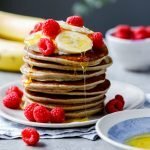 I’ve tried most of your cauliflower recipes and they are always a hit. That’s great to hear, thanks Belinda!